The new ‘Breitling for Bentley Supersports B55’ chronograph celebrates the launch of the new Continental Supersports. The fastest Continental ever made, the Supersports, develops 700bhp and 1,017 Nm of torque, and features unique exterior and interior styling cues. These bespoke design elements have influenced the look of the limited edition Breitling for Bentley chronograph. A titanium case – inspired by the titanium exhaust available on the new Continental – provides a reminder of the car’s performance credentials. 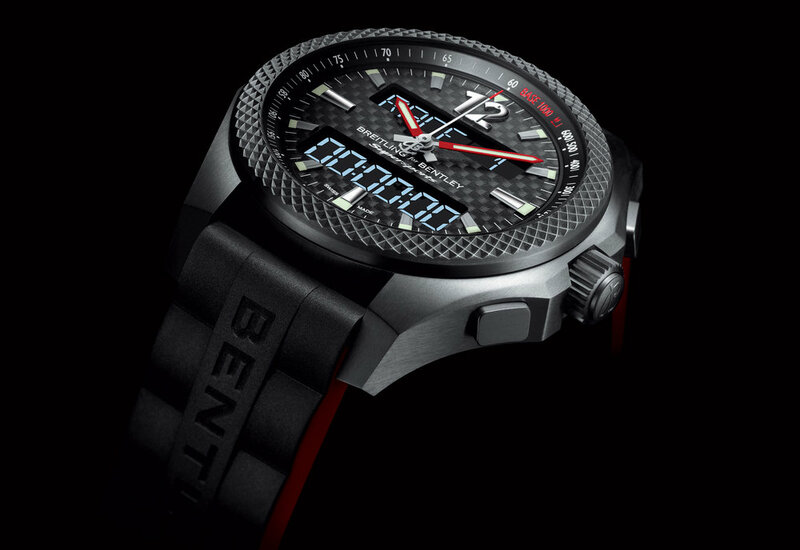 The lightweight case frames a dial in carbonfibre – a material featured strongly in many details of the Supersports model – while a double-layer red-edged and lined black rubber strap completes the look. The Breitling for Bentley chronograph features an electronic movement for the first time, 'tailor-made for performance-minded individuals'. 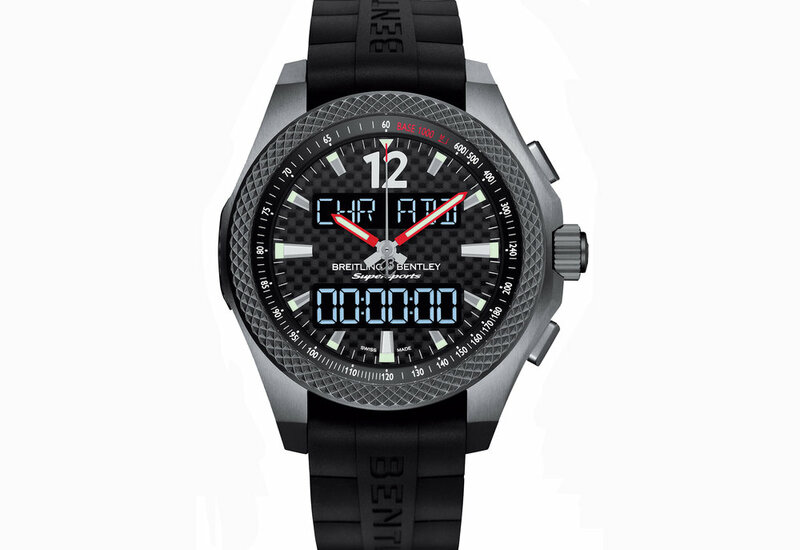 In addition to the lap timer and electronic tachymeter, the B55 features three additional exclusive functions. ‘Chrono Race’ mode is designed for track races and enables the wearer to record the split times for each lap and calculate the average lap speed. Finally, the ‘Regularity Rally’ function (useful in competitions in which the objective is to cover a given distance in a specified time) enables the wearer to predefine target times (or intermediate times) from the total, and then check at the press of a button whether these goals are being achieved. 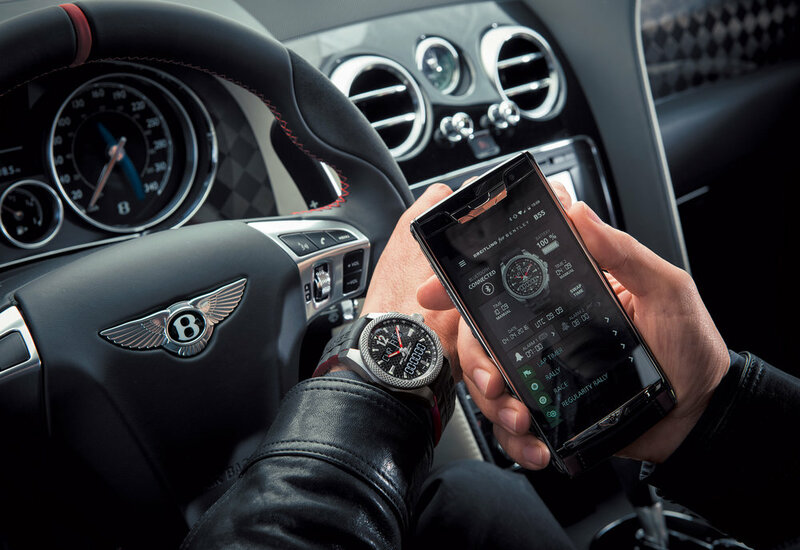 A specially designed Breitling app has been created in order to allow owners to store and transmit all of the data recorded via a smartphone connection. The connected chronograph features two ‘ultra-legible’ LCD screens equipped with a backlighting system that can be activated by pressing the crown or by simply tilting the wrist. Only 500 Breitling for Bentley Supersports B55 limited edition watches will be made. The price is available on application but if you have to ask, you probably can't afford it!